Yesterday, I threw a party for my daughter’s friends and their American Girl dolls. It was SO CUTE!!!! 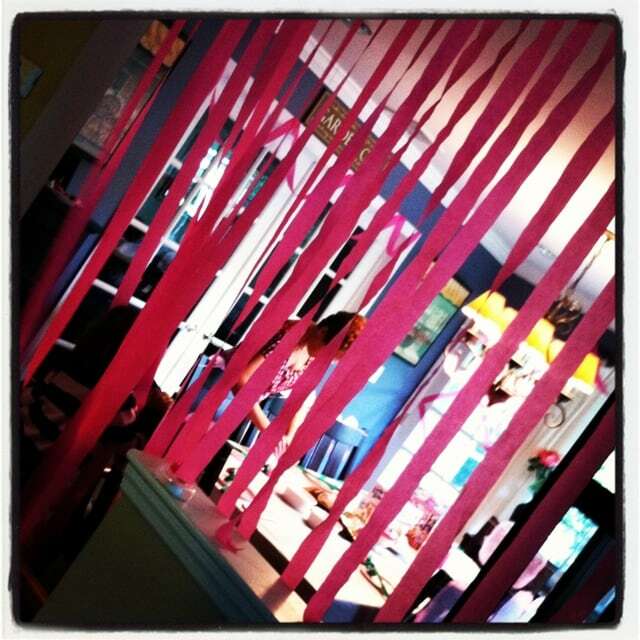 I took one room and made it as pink as possible with streamers, plates, table clothes and more. Needless to say Natalie was THRILLED. I think we had about 9 children in total. Some girls dressed just like their dolls. That was my intention for Natalie, but she opted to stay in her school clothing. Whatever works. 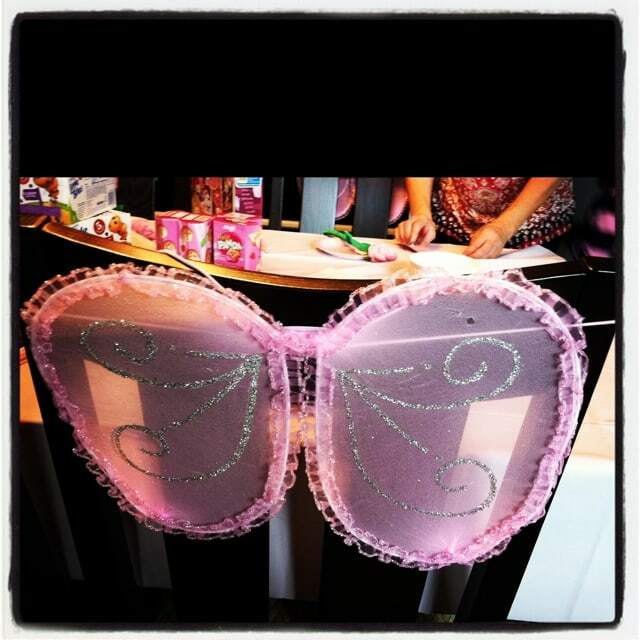 From Target’s Dollar Bin, I snagged fairy wings and pink roses as their takeaways. 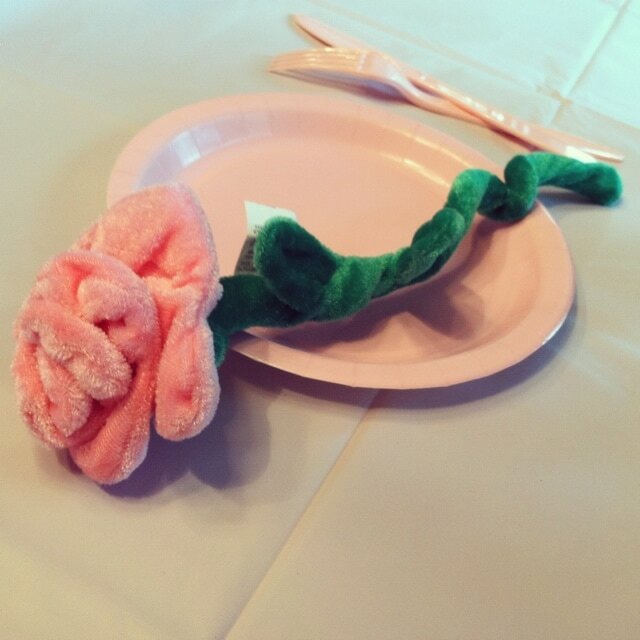 One of the moms told me today her daughter slept with her rose – so CUTE!! 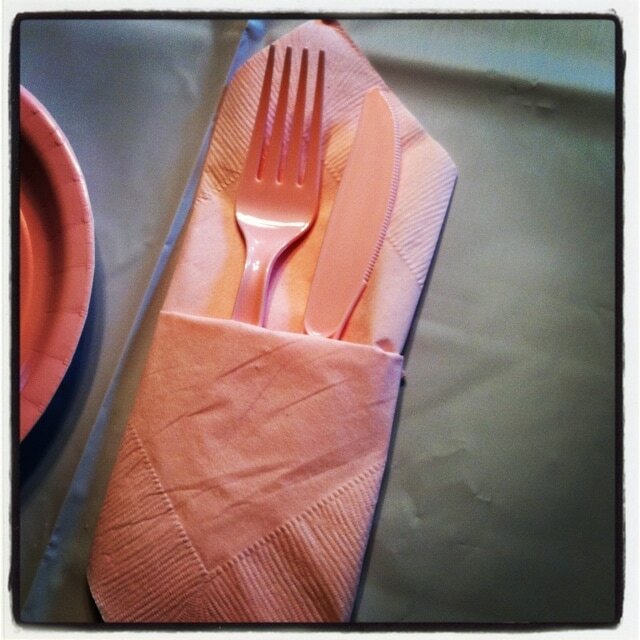 And my mother had fun with the napkins. She helped set the table while I cut streamers for the entranceway. I had a few moms stay while the kids play and my husband kept bringing out different bottles of wine. 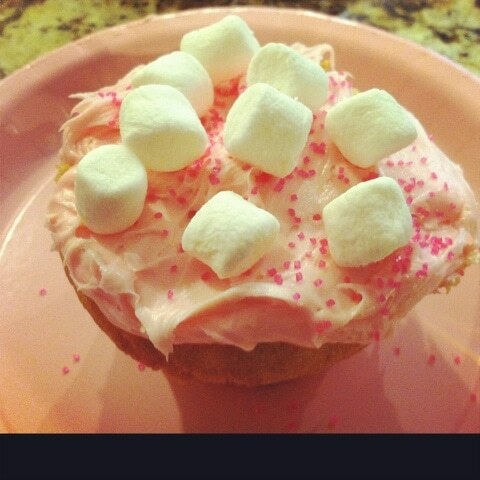 The kids even made their own cupcakes – pink of course! Sometimes it’s nice to get together for no reason. 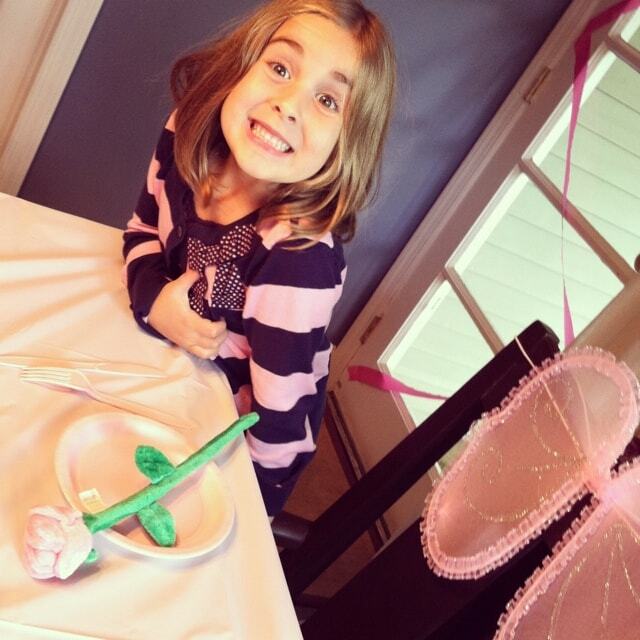 When it was all over – Natalie crawled into bed with me and told me I was the “best mom ever”. AWWW! Love my little girl. Hopefully, we continue these little play dates because it’s a great reason to get friends together after school.